Violent video games? Nope. This is the new public enemy number one for the Venezuelan State. People’s Ombudsman (and former PSUV deputy) Gabriela Ramírez has taken the initiative for once and stop her usual routine of blaming everything on the IV Republic. She asked a court to stop two companies of keep selling what she considers to be a danger to children and teenagers. No, it’s not guns. They’re already banned (the legal ones). 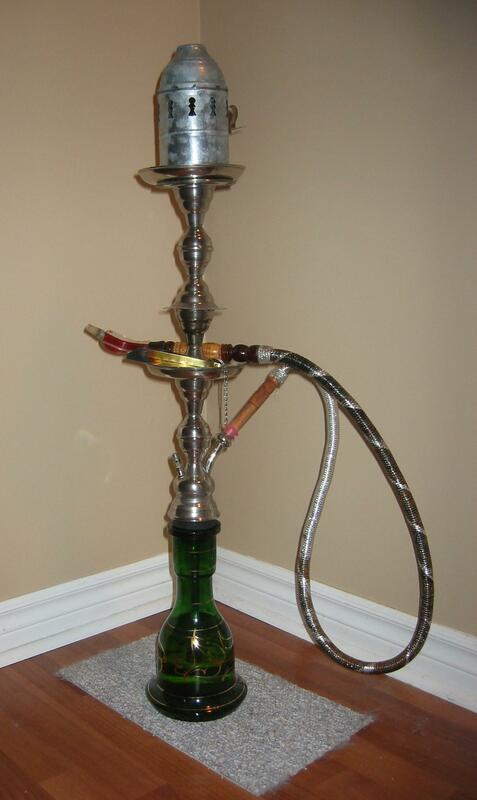 For her, the narguile or hookah, a smoking pipe of Middle Eastern origin is actually a more dangerous thing. Days ago, the National Anti-Drug Office (ONA) warned about an increase in ads for these pipes on newspapers and online. The use of hoohaks with tobacco is more hazardous than regular cigarrettes and they can be used to consume other drugs as well. However this brings to mind a related story: the ONA reported in late May that 7 million Venezuelans are active smokers. This is a serious public health topic that eventually needs to be adressed and you don’t do that by picking on nostalgic Arab-Venezuelans.